offered at the best prices in Iran by AriaMedTour. A bit of dermabrasion and microdermabrasion can go a long way! And if you’re looking for a place to get them done at an affordable price, Iran turns out to be just the ticket. We invite you to check out our prices for more info and continue reading to understand what these procedures involve. Whether you’ve heard about getting cosmetic procedures like dermabrasion in Iran or not, this post will give you a clear picture of the treatment itself, whether it’s a right decision to have it done in this country, how much it costs and all the related issues which may pop in your mind. What are dermabrasion & microdermabrasion? Dermabrasion and microdermabrasion are two non-surgical cosmetic procedures for people who want to rejuvenate their skin. Dermabrasion is offered by either a plastic surgeon or dermatologist. It treats scars, acne spots, sun damages, hyperpigmentation, uneven surface, and fine wrinkles. Microdermabrasion smooths the surface layer of the skin by removing the dead layer and treats the brown spots, dull skin, acne, and aged skin. As a result, your skin looks young and healthy. Rejuvenate and smooth your skin by dermabrasion and microdermabrasion procedures. Skin is exposed to harmful elements of pollution, which is an inseparable part of modern life. This may leave behind a darker aged skin for years. Apart from that, accidents may occur and cause damage to our skin. Or you may get pimples all over your face when you are 20 and end up with permanent marks. Whatever the reason, dermabrasion and microdermabrasion help you erase these undesired spots from your face. 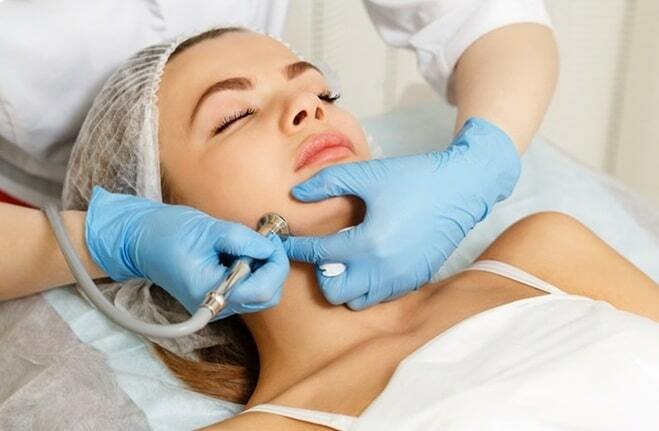 Microdermabrasion can also be used for the skin of your neck and hand, which are really sensitive. The result may last for a long time unless facial damages reoccur. 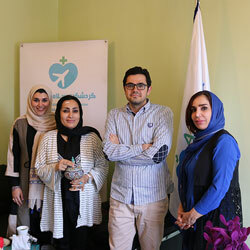 Why dermabrasion & microdermabrasion in Iran? 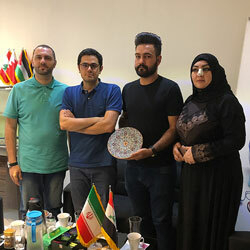 With millions of people crossing the borders to receive healthcare abroad, Iran’s becoming one of the key players in the cosmetic procedures‘ field. Having a cosmetic/medical treatment done in Iran saves patients from around 40% to 80% of money compared to the cost of a similar procedure in a western or even eastern country. The lower price, however, does not mean that you would receive poor quality treatment. Everything in Iran is cheaper due to the economic factors such as low cost of living, weak currency, low salaries, and the like. Therefore, you can get the most effective dermabrasion and microdermabrasion in Iran at the best possible price. 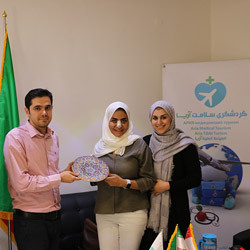 People travel to Iran not only to receive quality and affordable service but also to experience the unique cultural and historical space of this country. The country appears in the list of must-go or have-gone places of many travelers. The New York Times has also referred to Iran as one of the 52 places that people should visit in 2019. High-quality cosmetic procedures are offered at very attractive prices in Iran and dermabrasion and microdermabrasion are no exception. Dermabrasion and microdermabrasion in Iran cost from around $100 to $150 per session. This is while a single session of microdermabrasion in the United States cost between $100 and $250. Depending on the area and depth of the treatment, this price can vary. How do dermabrasion & microdermabrasion work? Both procedures are performed in a clinic or doctor’s office. For microdermabrasion, there’s no need to apply anesthesia as it’s not painful in general. Only in some cases, numbing medicine may be used. Dermabrasion, however, is done under either local or general anesthesia. The doctor cleanses your skin by an antiseptic gel in order to prevent infection. A hand-held device is used to treat the layers of your skin and remove your skin’s irregularities. Depending on the size of the treated area, the procedure takes from a few minutes to 2 hours. For microdermabrasion, the doctor rubs and exfoliates your skin by a device made of aluminum oxide crystals. Then, an ointment is applied to your skin to prevent sunburn and other possible damages. It is done within 30 to 60 minutes. Immediately after the treatment, you can go home. See how microdermabrasion is done! For microdermabrasion, there isn’t any recovery period. You may experience some redness and swelling for about 24 hours after the procedure. So, you can easily go back to work after getting your procedure done. With dermabrasion, it’s a little bit different. As the procedure is more invasive and may involve anesthesia, you may expect to have a few days off following the treatment. You may experience discomfort, redness, and swelling during this time. Six to eight weeks after surgery, your skin completely heals and you can see the result of the treatment. Do not wear makeup for a complete day. While both treatments are used to address various irregularities of the skin, they differ in some respects. That’s why we are writing this section to give you a deeper insight into this. Unlike dermabrasion procedure, microdermabrasion is a non-invasive method as it does not involve anesthesia. No hospitalization or recovery time is needed either. Plus, it doesn’t necessarily have to be done by a plastic surgeon. A nurse, doctor, or a licensed beauty practitioner can also do the treatment. Microdermabrasion works wonder on all kinds of skin. But dermabrasion is only suitable for those with fair skin. Dark skins do not respond well to dermabrasion treatment. By the way, microdermabrasion can only address superficial skin problems. Deeper irregularities like scar spots or uneven texture need a more intensive method like dermabrasion. Am I a good candidate for dermabrasion & microdermabrasion? Don’t have congenial skin marks, active acne, eczema, or severe rosacea. As mentioned earlier, dermabrasion may cause mild to moderate pain as the doctor is rubbing your skin during the procedure. After the treatment, your discomfort will fade away within a few days. How long do the effects of microdermabrasion & dermabrasion last? These procedures are not a permanent solution to your skin problems. If you take good care of your skin, the results may last for 1 year. What are common side effects of dermabrasion? This treatment may cause swelling, infection, scars, sunburn, darkening, etc. If you avoid sunlight and protect your skin by wearing hats, darkening and sunburn won’t happen. Other complications are also easy to manage and they do not occur much often. What are common side effects of microdermabrasion? Microdermabrasion is a very safe treatment and does not have any serious complication. Apart from skin sensitivity and sunburn, no other recorded serious side effects haven’t been reported so far. These problems can be prevented and treated by post-treatment care like using moisturizers and sunscreens. How can I get my dermabrasion & microdermabrasion done in Iran? 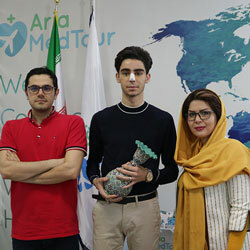 AriaMedTour, as the leading medical tourism company in Iran, is ready to help you plan your treatment and have a dermabrasion or microdermabrasion procedure at a very competitive cost. Please apply for the procedure below by filling out the form or simply talk to us using the blue chat box provided at the foot of the page.